This piece is really interesting as first shots go, as it is both unpainted and shot in non-production colors. The gray/white combination is actually quite attractive. It's somewhat rare that a vintage first shot turns up in weird colors like this. Usually they're shot in production colors and painted. 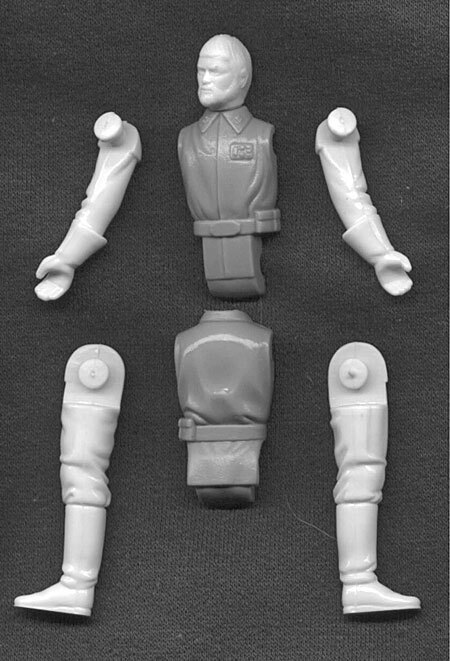 This photo demonstrates another interesting aspect of this figure: its torso halves are not sonic-welded. They therefore can be separated, and the limbs can be removed.